Los Angeles - In May 2015, Islamic State (Isis) militants first captured Palmyra in Syria, one of the most important Greek and Roman sites to survive since antiquity. The destruction that followed shocked the world, as did the murder of Khaled al-Asaad, the site’s chief archaeologist. A new exhibition at the Getty Villa, Los Angeles will showcase a selection of remarkable funerary portrait sculptures alongside some of the earliest photographs of the site. It raises important questions about old and new methods for preserving cultural heritage in the 21st century. 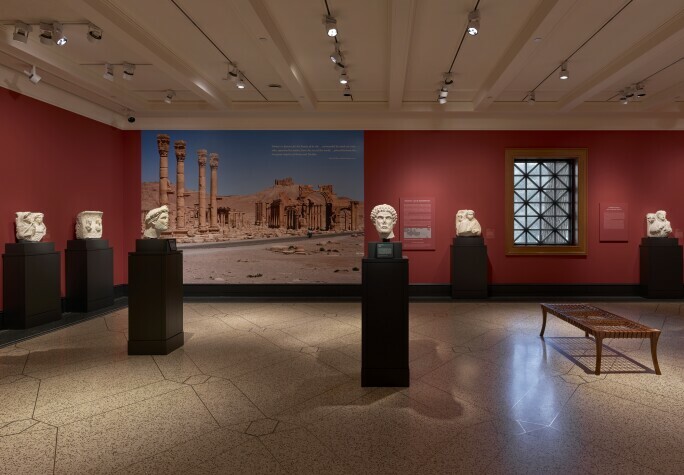 Palmyra: Loss and Remembrance is one of two exhibitions opening to launch the Getty’s new-look antiquities displays. It draws from the extraordinary sculpture collection of the Ny Carlsberg Glyptotek in Copenhagen. Exhibition co-curator Kenneth Lapatin explains that the funerary sculptures were mostly acquired in the 19th century when the antiquities market was less regulated. As a consequence, much of the information about the objects – where they were found, and what objects they were found with – has been lost. 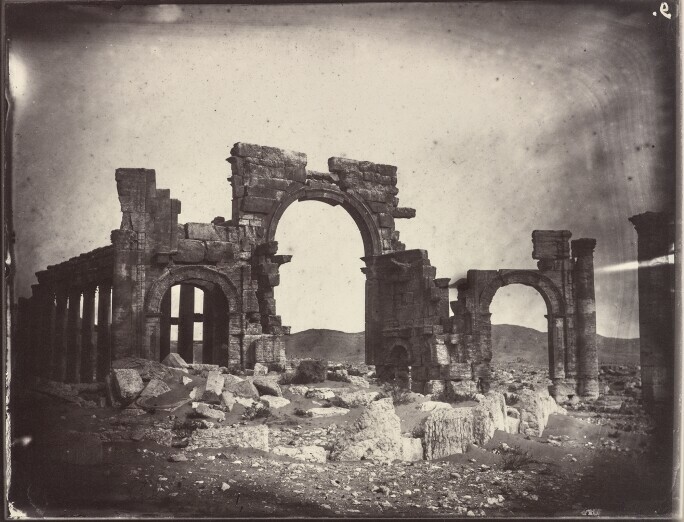 Paradoxically, Lapatin says, the sculptures’ removal (in a way that would not be considered ethical today) has kept them safe from the terrible destruction that Palmyra has suffered.The early photographs of Palmyra were taken in 1864 by Louis Vignes, a naval officer who studied under the pioneering French photographer Charles Nègre. These are impossible to display long-term in day-lit galleries without causing deterioration, so are shown on rotation. 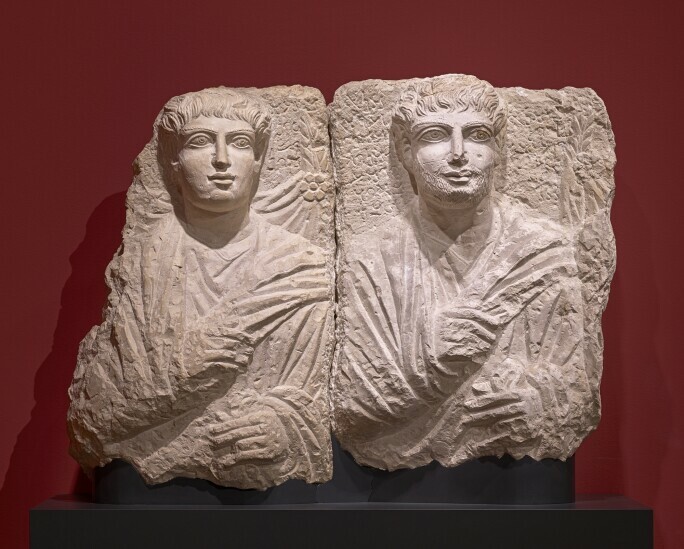 The museum has also scanned them and included them alongside rare drawings in an online exhibition, The Legacy of Ancient Palmyra. Since the outbreak of wars in Syria and Iraq, the region’s rich cultural heritage has been under threat. As well as Palmyra, cities such as Aleppo, Raqqa and Mosul have been the target of deliberate destruction. Parallel endeavours have arisen around the globe to record the missing artefacts of the region. One of the best known is the Reclaiming History project, a Unesco initiative. Users upload photographs of destroyed historical sites onto a website, reclaimhistory.org. Experts then combine the images into 3D digital models. Reclaiming History grew out of a project called Project Mosul, created by Matthew Vincent and Chance Coughenour, two Europe-based, American-born researchers. Their site was a direct response to the destruction of some of the contents of the Mosul Museum in the historic Iraqi city. The museum was damaged first through looting during the 2003 Iraq War, then following its occupation by Isis in 2014. Matthew Vincent says Project Mosul was designed to provide a complete digital reconstruction of the Mosul Museum. This was realised in 2015 in collaboration with the British news magazine The Economist. Its Media Lab worked with Project Mosul to produce RecoVR: Mosul, a virtual reality experience and 360-degree video. RecoVR: Mosul was successful because The Economist was able to add context for viewers. Vincent describes it as a “digital museum”. Project Mosul soon widened its remit to include other endangered sites around the world, and has now been renamed Rekrei – the Esperanto word for “recreate”. Vincent says that “a project like this is about preserving the memory of lost heritage – it’s not [about rebuilding]”. 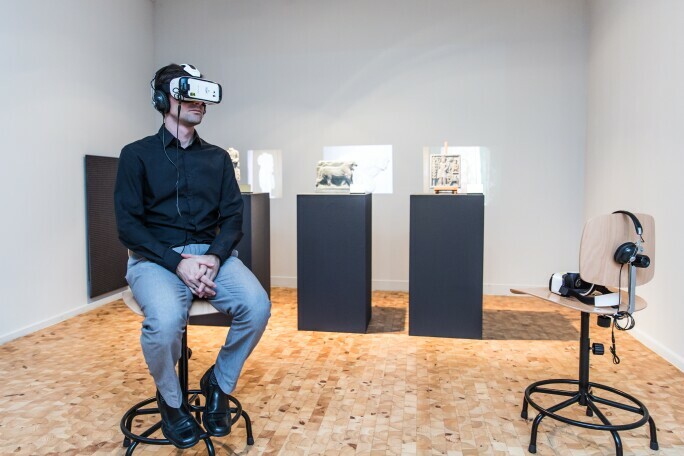 Increasingly, digital media will be relied on to fill out gaps in the stories that are told in exhibitions. “There’s no reason why what we’re doing can’t be a part of the traditional museum experience,” says Vincent.